HUGE PRICE DROP! 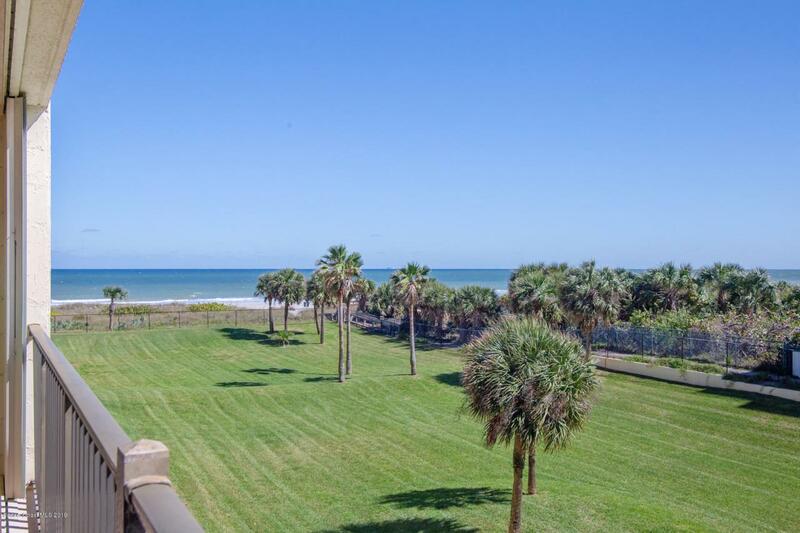 Beautifully updated furnished 2 bedroom 2 bath condo in the centrally located and sought after Royale Towers complex. Open and bright, this floorplan is perfectly designed for entertaining while still providing privacy and a split bedroom layout. 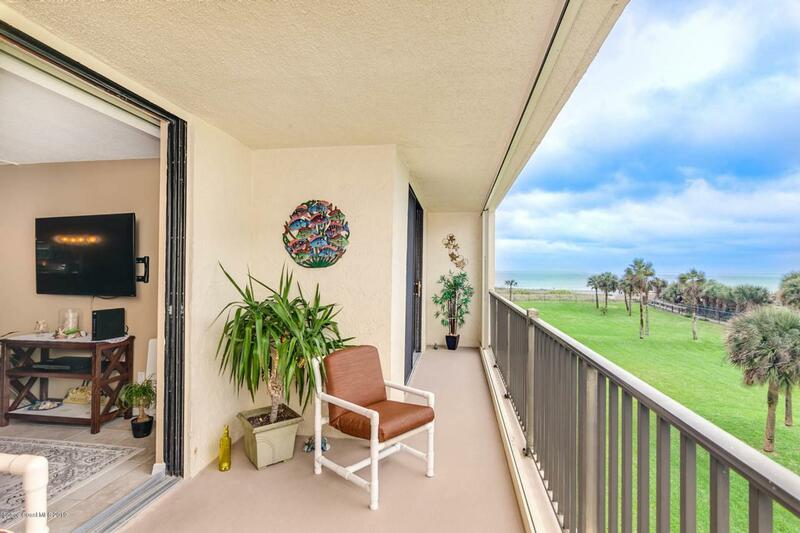 You will love the fantastic view of rocket launches from outside your front door and enjoy gorgeous sunrises from your south facing balcony with ocean views. 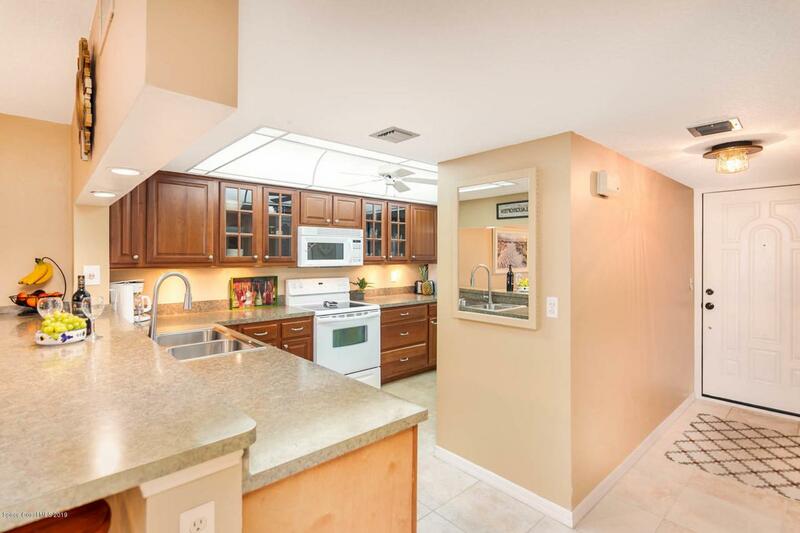 This home has many upgrades including all wood kitchen cabinetry with soft close drawers, updated kitchen lighting, new refrigerator, new hurricane impact front windows, hurricane shutters on balcony, double sinks in the master bathroom, porcelain tile flooring throughout and refinished ceilings- no popcorn here! Royale Towers is know for all their amenities including...nice sized lap pool, Jacuzzi, tennis, pickle-ball and basketball courts, horseshoe pit, picnic area, clubhouse and drive through car wash. New beautiful ocean access walkway and seating areas made of composite materials are built to last. All this and a one car garage space! Royale Towers is conveniently located and close to shopping, restaurants, banking and more. 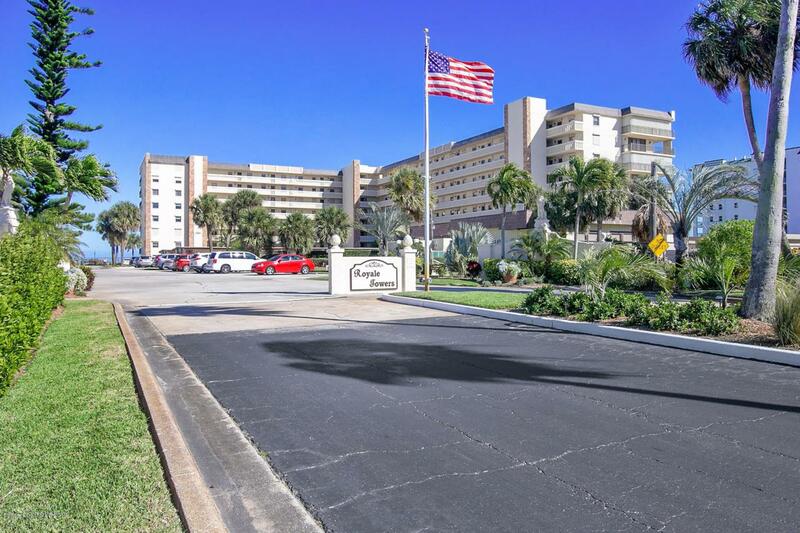 With easy access to the Beachline, (528) it is a quick drive to the Orlando attractions and airport!